How about a game of Poker with your neighbors? 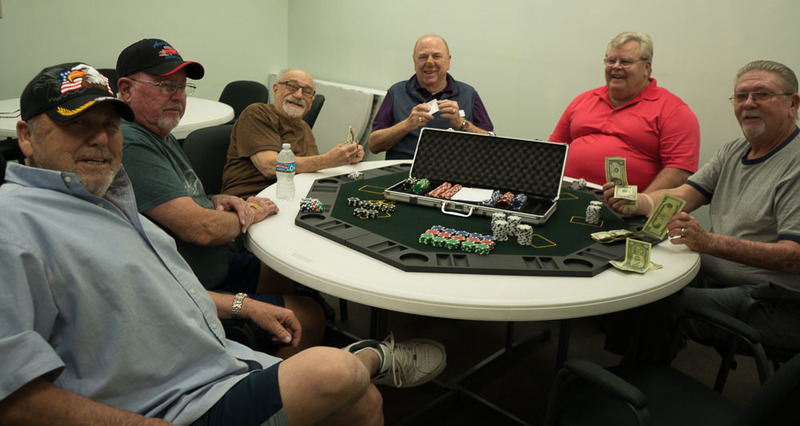 Happy Trails has Poker games going on four nights a week. Join us for lots of fun, see some serious poker faces, and hear the laughs from the winners! Monday & Thursday Night, we play "Dealer's Choice" at NC-2. 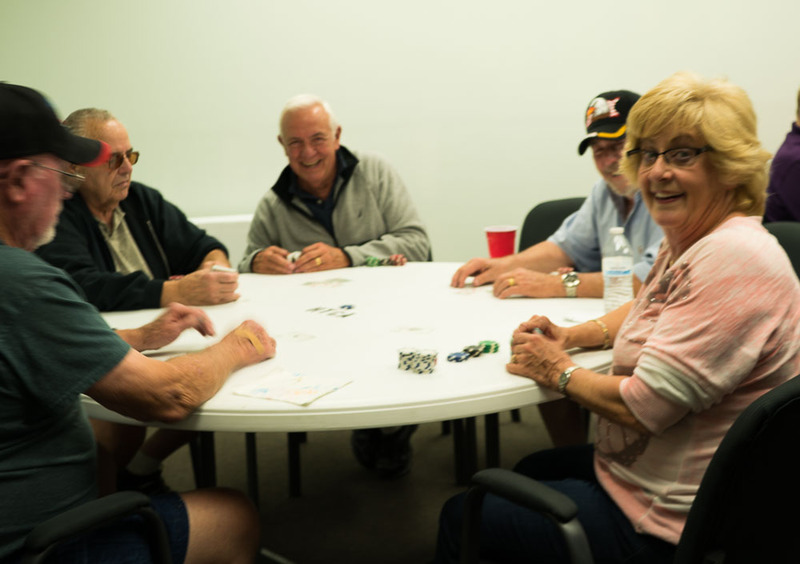 We play "Texas Holdem" on Tuesday evenings and Wednesday evenings. We meet in the Chaparral Room or the Chuckwagon.